Subject: King William School System Pay Raises are out of hand. .
King William School system did not want you to know this, but would you be surprise to know that Dr. White is disappointed that the King William T.E.A. Party got the data and published it in a local newspaper. I guess Dr. White is surprised and disappointed that what is public information has been made available to county residents. What should be of a surprise is that on average every employee received an average raise every year since 2011 of above 2% some got more than 4% and they continue to want more. Just how much of a raise have you received since 2011? These raise do not include other benefits that were also increased, such as paying more of the employees’ healthcare and pension costs. Dr. White does not seem to understand that he works for the citizens of King William and we are the ones paying his salary. The Public Sector Pension crisis (and it is a crisis) has grown proportionally worse....much worse in a relatively short period of time. The accounting games being played by those responsible for these public sector plans, from the foolish and unrealistic rates of returns used in the plans testing assumptions, to the unwillingness of public sector employee unions who refuse to even consider modest changes in the plans benefits are going to lead to a major meltdown when the next market correction inevitably occurs. Just where will the States turn when the plans can not pay promised benefits ? $ 21 Trillion in national debt I doubt Congress will be in much of a mood to provide relief...........so the States will turn to US. It then begs the question why are localities adding OPEB ( Other Post Employment Benefits) when the pension obligations alone are so dire ? 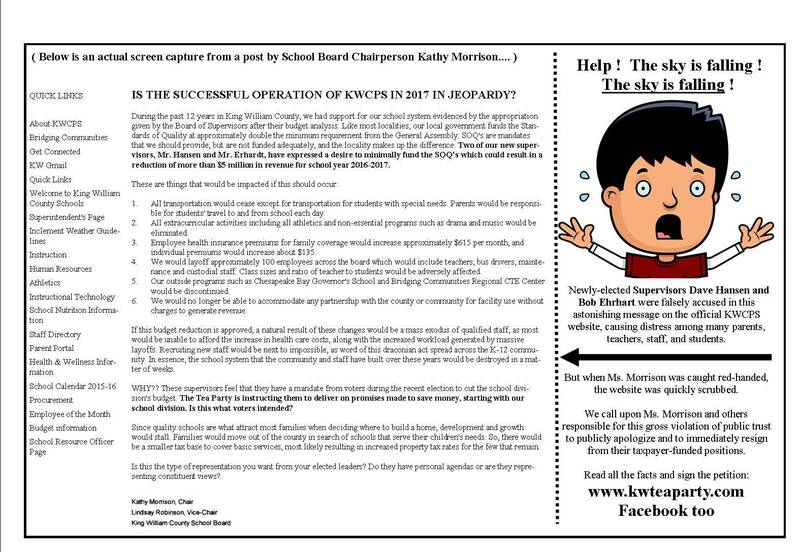 Why do the King William County School Board's members continue to duck our invitation to speak at one of our meetings and answer some questions about these supplemental benefits they are handing out ? Making matter worse at the local level is the addition of supplemental benefits in the public schools, falling under the banner of OPEB (Other Post Employment Benefits) King William School Board members have been repeatedly invited to come and speak at one of our meetings to answer some tough questions about King William Schools funding of these promised benefits. To date nothing but silence. Why---if the local OPEB is on sound financial footing would they be reluctant to come in and explain and show us how King William tax payers having nothing to fear.yet they do not. 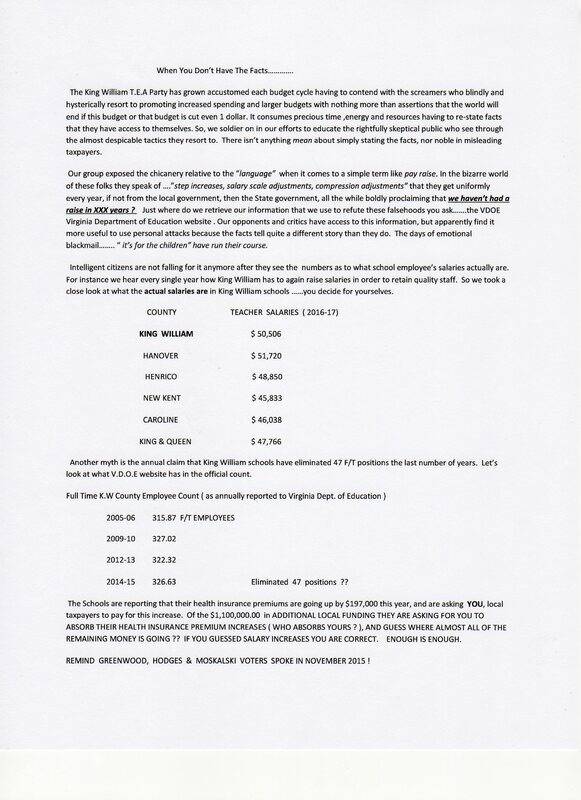 In Chesterfield this year the scam was exposed, detailing in a RTD series how Chesterfield County elected officials and their own school board has buried the magnitude of the problem in Chesterfield until a few brave souls aware of the truth came forward and spilled the beans, leaving Chesterfield taxpayers on the hook for tens of millions of dollars of new unfunded liabilities. Speaking to a meeting of the King William T.E.A. Party, Antione M. Green, a Senior Advocacy Associate with the Foundation for Excellence in Education, presented a powerful case in support of Public Charter Schools in Virginia. Green, a key figure in the creation and subsequent success of Richmond's Patrick Henry Science and Arts, Virginia's first elementary charter school. Noting that there are only nine such charter schools in all of Virginia when North Carolina has 160, Green asserted that children in chronically failing public school systems will be far better off in charter schools. Responding to the critical question of what concerned citizens can do to overcome opposition from local public school authorities and the Virginia Education Association, Green cited the foundation's legislative proposal for creation of regional public charter school divisions. Charter schools are tuition-free public schools open to all students. They are publicly funded and held t o state academic and financial standards. Unlike traditional public schools, however, charter schools are run independently of school districts and, instead, operate under a performance contract with an authorizer (a district, the state, or another approved entity). Subject: An Open Letter To The King William T.E.A Party Critics. .
which they speak. Convenient pawns used by the Bureaucrats. A Case in point. (our children) at risk . 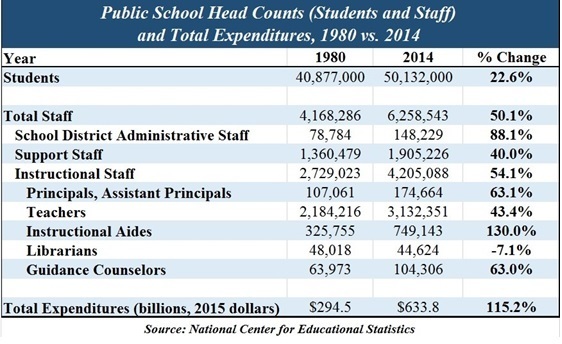 Now the assertion is made year after year by KW School officials that MONEY = OUTCOMES. Let’s examine that thesis a little closer. Middle School the following findings were delivered by Dr. David O. White, Superintendent. 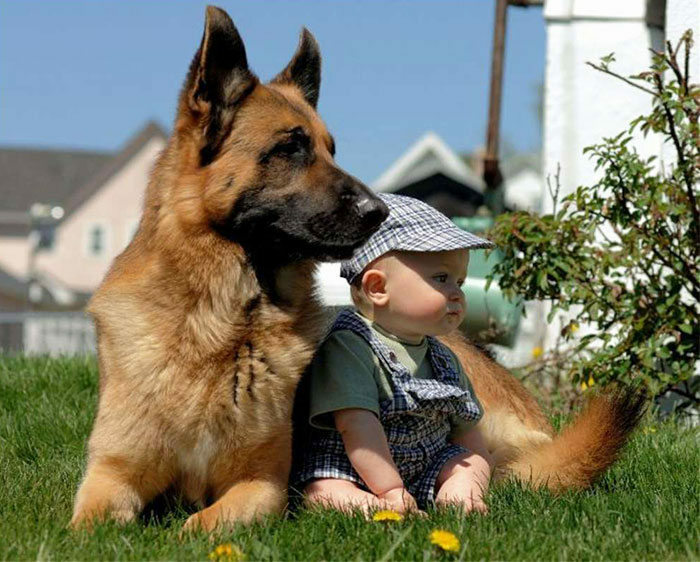 …..raising money for the Animal Shelter or picking up trash ? in local funding is going just where you ask ? remedial math classes and focus on debt………….that’s the threat to your children. WE NEED MORE TEACHERS FOR 13 MORE STUDENTS ? Want to voice an opinion on the King William School Board !! to create this searchable database. before calculating the median salary of $44,056. are not included in the online database. raises due to an increase of $630,000 in state funds." school officials said schools are expected to pay a smaller debt service in the upcoming fiscal year." Please look very closely for any mention of cost cutting and program closings. "2014-2015 Teacher Salary Survey Results"
Want to view all the reports this site has to offer? Click on Our Link and take your Pick .